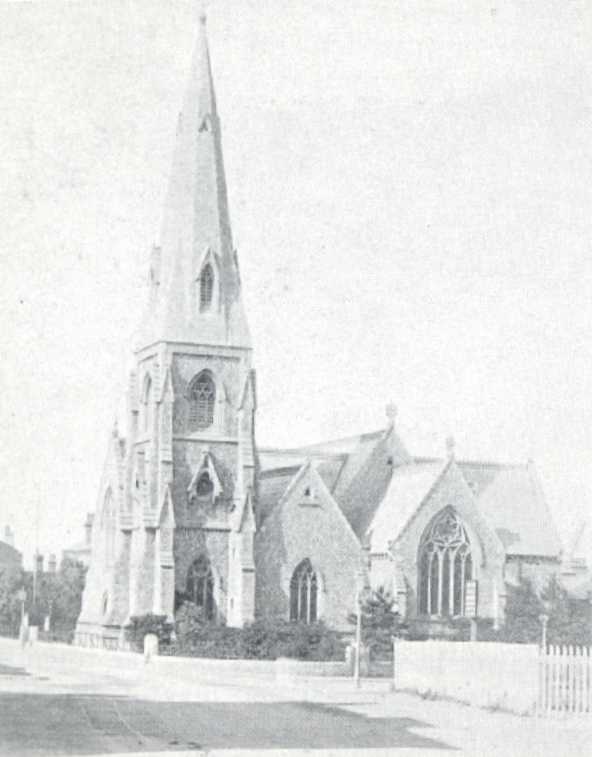 St John was one of the four great urban churches erected in Suffolk during the course of the 19th century. The others were Ipswich St Mary le Tower, Felixstowe St John the Baptist and Bury St John. The architect was J.L. Clemence, who shoe-horned this North London-style Anglo-catholic cruciform church on to the site. The church cost £6000 in 1853, about one and a half million pounds in today's money. And this didn't include the spire, which was added in the 1860s. The tower fitted neatly on the east side of the north transept, and the top of its spire was the tallest point in Lowestoft. The interior must have been splendid; the windows were filled with glass from many of the major 19th century workshops. Interestingly, all four great 19th Century Suffolk churches were built of different materials in slightly different styles, and the choice of Kentish Rag and Caen stone for this church may not have been wise, considering its proximity to the winter storms of the North Sea. 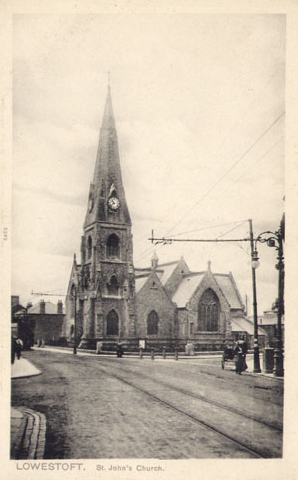 A structural survey in 1964 found considerable weather damage, and when, in 1973, the time came for two of the Lowestoft town centre churches to be declared redundant, this one was easy prey, despite it being much grander and a more significant part of the townscape than Christ Church or St Peter. Some of the damage was caused by the great east coast floods of 1953, the salt water eating high into the interior superstructure. As is always the case, it was hoped that an alternative use could be found. 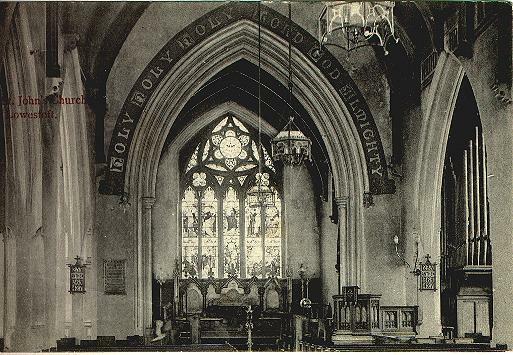 But Victorian architecture was deeply unfashionable in the 1970s, and redundancy legislation said that, if a church wasn't important for historical or architectural reasons, a new use had to be found within three years. This didn't happen, and the church became prey to vandals and arsonists. Almost all the furnishings were destroyed in the period between redundancy and demolition. All that was saved were the altar rails, taken to St Andrew Roman Hill up the road. 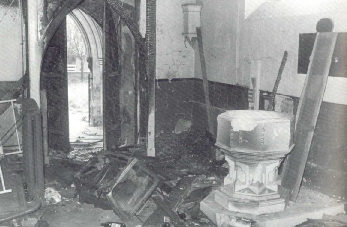 St John was gutted by fire in 1977, and after that there was no way back for it. By 1978 the church was a ruin. Full-scale demolition followed soon after, and a block of flats called Levington House was built on the site. The photograph of it at the bottom was taken from roughly the same spot as the photographs at the top of the page. St John's parish was subsumed into that of neighbouring Kirkley. Hardly a single trace of this church survives. If St John were declared redundant today, there is no doubt that it would be considered important enough to be saved. 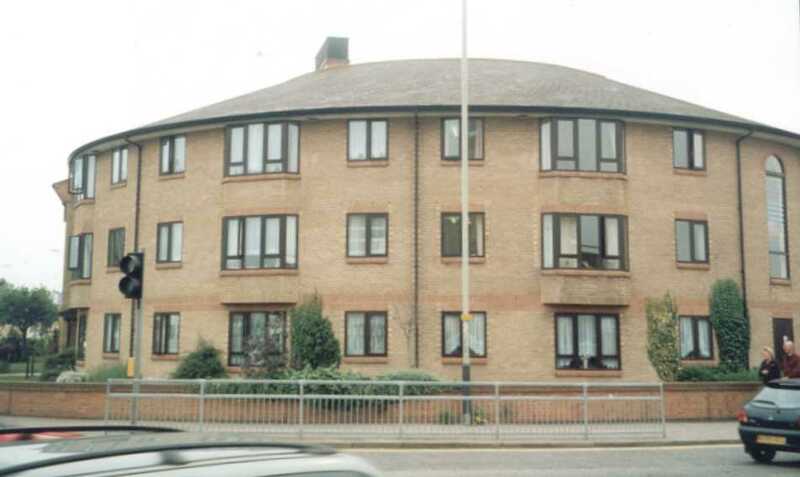 Not only was it architecturally significant, but its place in the Lowestoft townscape was central. There is a sense in which Lowestoft had grown around St John, and its loss left a hole. Interestingly, the redundant churches legislation which saw its demolition was applied to only one other church in Suffolk, across the river at Lowestoft St Peter. It is not unreasonable to notice that both churches were in the Diocese of Norwich, whereas the great majority of Suffolk churches are in the Diocese of St Edmundsbury and Ipswich. One of the former members of the congregation here was the composer Benjamin Britten. As a child, he accompanied his mother from their home at Kirkley, a mile or so off. She was the organist, and so it seems likely that the young Britten played the organ here himself. After closure, the organ was rescued and restored. It was reinstalled in 1979 at St Andrew, Gorleston, a few miles over the Norfolk border. This and the altar rails now at Roman Hill are, incredibly, the solitary survivals of a vast building that served its community for well over a century. 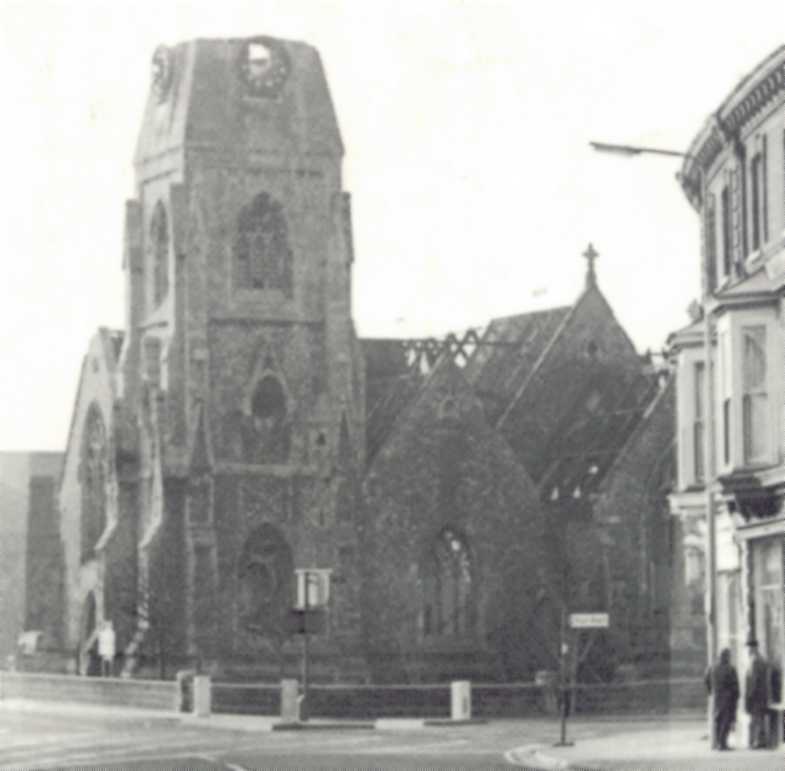 Jack Rose's fine book Changing Lowestoft features several photographs of St John being demolished in 1978. One is at the top, and two others, copyright of the Eastern Daily Press, are below. 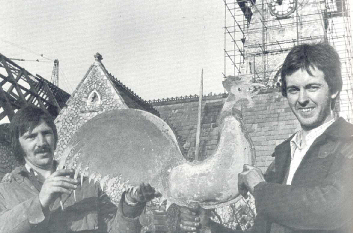 During demolition, bits of the church were sold off to interested spectators and collectors. I wonder where that cockerel is now?